A lightweight 1911 with all the refinements that top shooters demand. 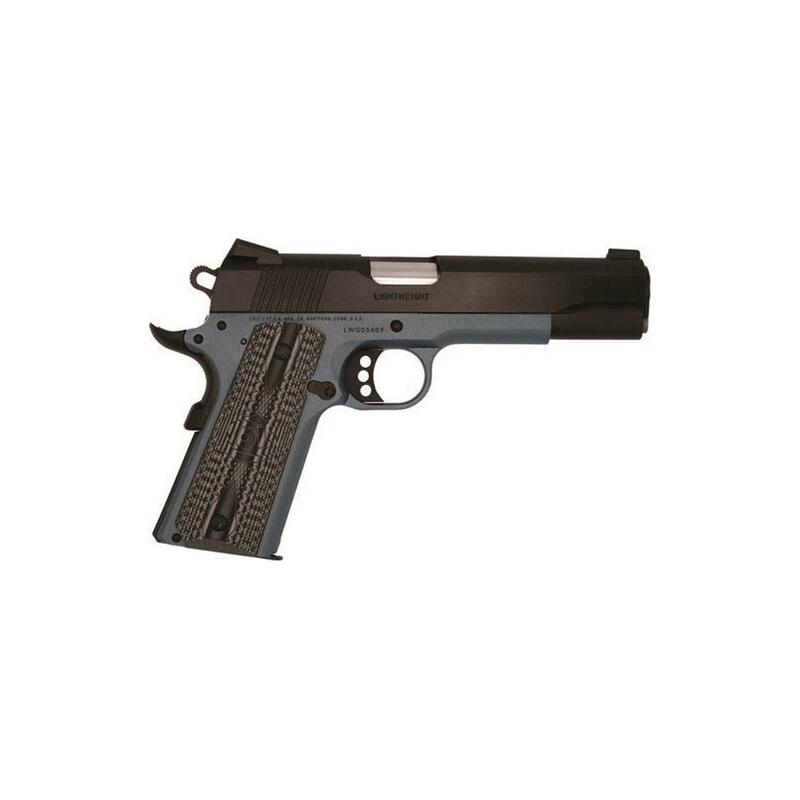 The Colt® Lightweight Government 1911 features everything that top shooters demand in a pistol. It's around an aluminum alloy frame, giving it an incredible amount of strength in a surprisingly lightweight package. Front and rear slide serrations come standard along with Novak® adjustable sights. The Colt® upswept beavertail grip safety with palm swell provides positive actuation. An undercut trigger guard allows for a secure hold on the pistol. And, the addition of a one piece full length guide rod rounds out a pistol suited perfectly for the shooting enthusiast or the personal defense user alike. Colt Government XSE Lightweight 1911, Semi-Automatic, .45 ACP, 5 Barrel, Titanium Blue, 8+1 Rounds is rated 5.0 out of 5 by 1. Rated 5 out of 5 by SamlColt from Just as good as something 4X the price As usual, Colt accuracy, quality made, and durability. I have one and so does my wife. All we own is Colt. I trusted Colt in the military. It has NEVER let me down.